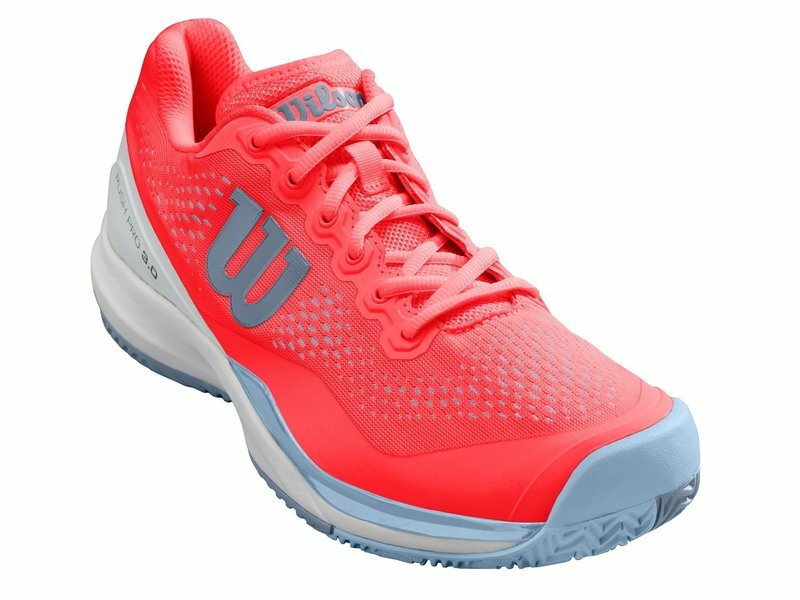 The women's Wilson Rush Pro 3.0 in Fiery Coral and white has been updated to be more breathable and lightweight than ever before. 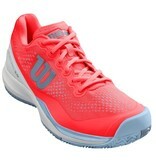 The Rush Pro 3.0 remains comfortable, supportive and stable in this year's update. 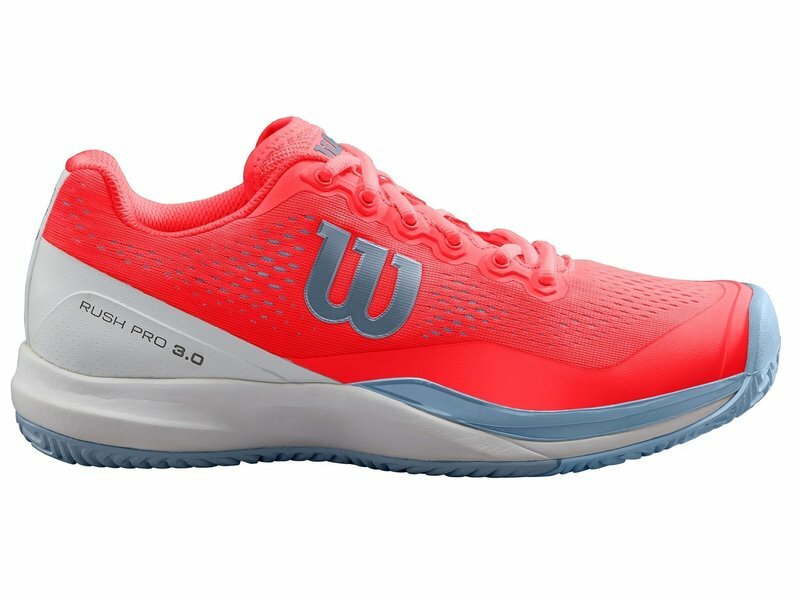 The Rush Pro 3.0 comes with Wilson's innovative 4D Support technology in the form of a heel reinforcement for maximum stability. 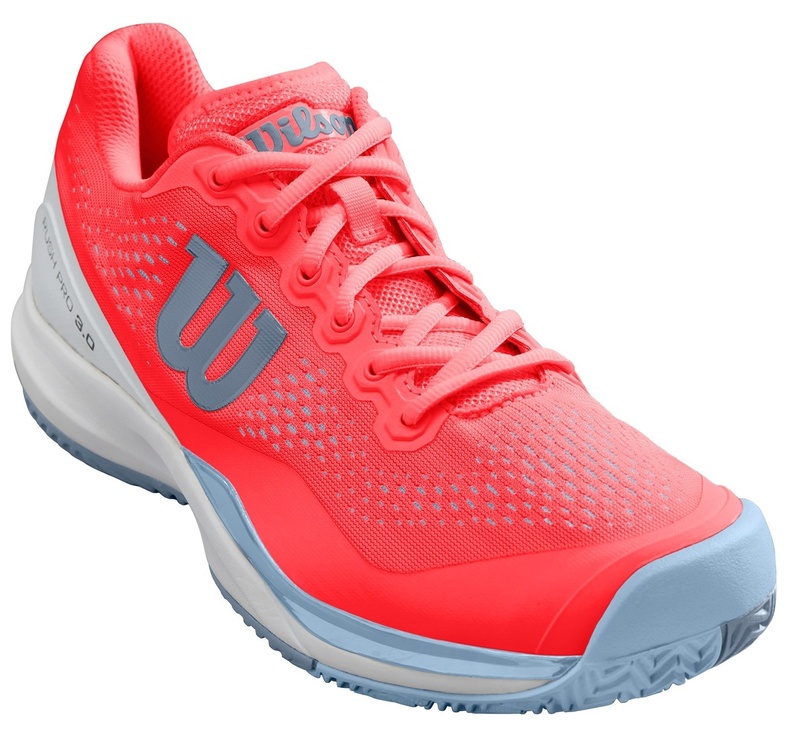 Midsole: Wilson's Women's Specific Support provides a prominent arch for support, stability and comfort through a asymmetrical TPU heel counter. 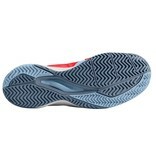 R-DST+ technology is incorporated in a compressed EVA material for responsive cushioning. 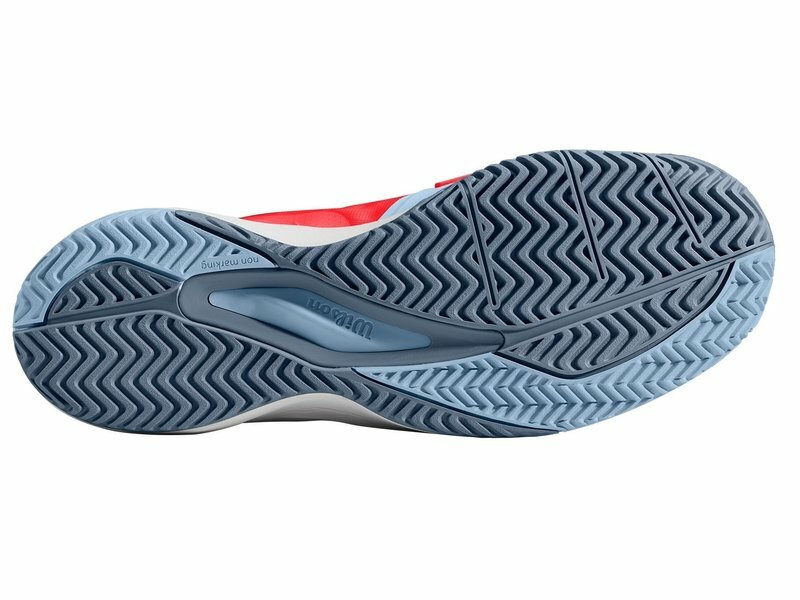 The 4D Support Chassis is an asymmetrical shoe chassis that provides excellent stability while preventing too much torsional movement. 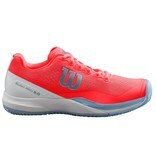 This allows players to pivot sharply and change pace with little risk of injury.